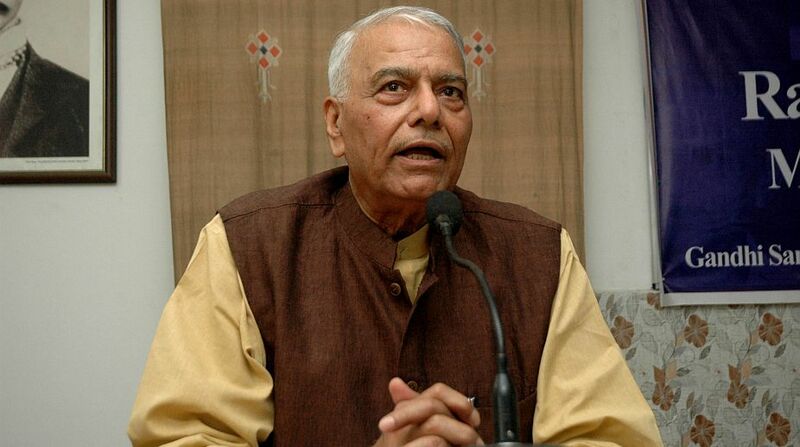 Former Union Finance Minister Yashwant Sinha on Monday said demonetisation has “failed comprehensively”, as he compared Prime Minister Narendra Modi to 14th century Delhi Sultanate ruler Muhammad bin Tughlaq. Speaking on the launch of renowned economist Arun Kumar’s book ‘Demonetization and the Black Economy”, Sinha also noted that the abolition of Rs 1,000 note, which was brought back by him in 2000, “pained” him. “I felt pained personally. After 1978 demonetisation, I had brought back the Rs 1,000 note that was abolished. I felt as if my child has been killed. Apart from that, in order to clean up, you introduced Rs. 2,000 note?” he said. The BJP leader, who has been vocally opposing demonetisation but continues to be a part of the party, said that he felt Modi was told demonetisation would fill government coffers. “My own feeling is that someone told the Prime Minister that if he goes for demonetisation, Rs 3-4 lakh crore will come. It will be a bonanza for the government… that unfortunately did not happen,” he said. Sinha questioned why the Reserve Bank of India (RBI) did not issue the final figures on the cash that has been collected post November 8, 2016 demonetisation of Rs 500 and Rs 1,000 notes. “After the 98.8 (per cent) figure, they have not told us the final figure. Maybe it would be thoroughly embarrassing if we admit that more money has come back,” he said. He went ahead to compare Modi to Tughlaq, who had introduced token currency of copper and brass coins. “There used to be a king, who shifted the capital to Daulatabad… He also did demonetisation. We have gone back five centuries to repeat the same mistake,” Sinha said. While he did not name the king, the reference was unmistakable. 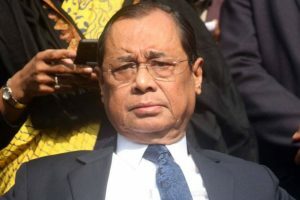 Sinha said “responsible people” in the government were not consulted before the decision was taken, but they had to defend it. He also questioned the impact of demonetisation on black money, and questioned where the electoral fundings were coming from. He also said that post demonetisation, “tax terror” is back. The book says the unorganised sector, which functions largely on cash, has been “damaged irretrievably” and that government data does not reflect it because the data for the non-agricultural component of the unorganised sector is available with a time lag. A note on the book said demonetisation was carried out on the “mistaken belief” that “black means cash”. “Black cash is less than one percent of the black wealth so even if this cash could be squeezed out, it would hardly impact black wealth. Further, black income generation is a process which is not impacted by demonetisation,” it said. It also argued that cash in an economy does not determine the level of corruption, and having a less cash economy would not determine the level of corruption in the country.